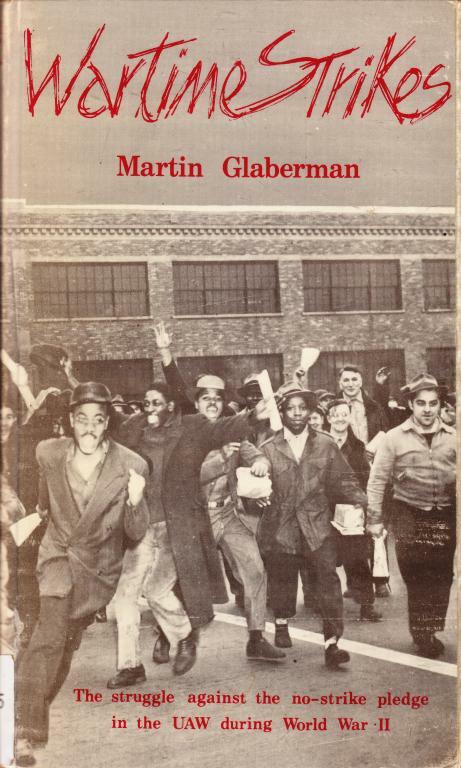 Martin Glaberman's examination of American car industry workers wildcat strike wave, despite their own union's no strike pledge, during World War 2. Bump coz the PDF is now attached.. Note the number of Klan type wildcats against African-American workers. The UAW seems to have had the most consistant numbers of wildcats during the war. It certainly one of the more well organized rank-and-file oppositions to the "no strike pledge." The Trotsskyist Schamanites of the Workers Party (Glaberman's party at the time) and the Trotskyist Cannonites of the Socialist Workers Party were in the forefront of the movement. According to SWP writer (and SWP historian of the CIO) Art Preis: "The opposition to the no-strike pledge, led by the Rank and File Caucus, in which the Trotskyists played a big role, piled up 36% of the votes." Good book, which I read when it first was published. Good to see it on-line for another generation of worker militants/organizers to read. Yeah, good call putting this one up Flaneur. You ever read How to be Idle? It's how I learned what your username means. No but that looks good. It looks like Lafargue's Right To Be Lazy which I still have to read. It's well good, but needs a good critiquing as well. He loves Lafargue, too. To be honest, HTBI is probably worth having in the libcom library as well. Anyone know if Bewick was a wobbly shop? No, to Marty being a Wobbly. But Marty was friends with the Perlmans, who helped them put it together at the Black & Red print shop in Detroit, which was a Wobbly shop. Was Glaberman a card-carrying wobbly? During the period of time that these strikes took place, Marty was a member of the then Trot. Workers Party. Ahhh Thanks a lot ya'll! Thanks for the link. Over the years I've seen really crappy copies of individual issues. I look forward to reading the press and about period strikes. And activities of the WP, about their life as an organization. One thing that's interesting is their journey through Trotskyism ... and some of their members trajectory towards a marxism beyond Trotskyism or into social democracy.